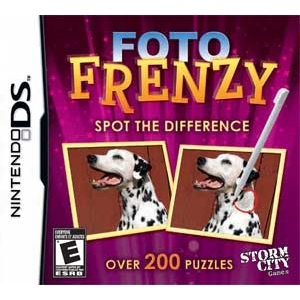 Foto Frenzy: Spot the Difference for DS... Spot the Difference and you.re a winner in this hard-to-resist puzzle game. Compete collectively or individually in fast paced photo fun, using just one DS cartridge for up to four players! Over 200 themed photographic puzzles means hours of fun for players of all ages! Own the game that everyone already loves!